Are you looking to raise funds for your organization without too much organizing and paperwork? You’ve come to the right place then. At Woody’s we want to make your fundraising a effortless as possible. Easy to use, easy to understand, and easy to sell. The best part of it all, you keep HALF THE PROCEEDS!! We will customize packages just for your organization. Whether you want to hand out cards or coupon codes, we’ll work with your organization for the best solution. Fill out the form at the bottom of this page. Once it is received, one of our employees will contact you for more information. We need authorization from the organization receiving the funds for you to run the fundraiser. 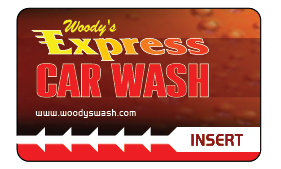 This information can be emailed to info@woodyswash.com. Once all the details are finalized, we will deliver the materials needed.